In 1917 Netley Lucas was fourteen, but must have looked mature for his age. He got himself an officer’s uniform and used it to run up debts as, for a short but wild period he lived the high life. Inevitably, his luck eventually ran out, and he was sent to Borstal. After some more criminal activities, he changed tack, and became an author, first writing the story of his criminal life and then taking on the part of an expert, a criminologist writing with the authority of a reformed criminal. A further fall from grace put his reform in doubt, so he started a new career. Changing his name to Evelyn Graham, he took advantage of the public’s thirst for royal trivia by producing a string of supposedly authoritative royal biographies. When publishers got wary of him, he set up his own publishing company, which put out some interesting books, including Not So Quiet…, the novel about women at war that had all the marks of authenticity. Scandal and bankruptcy overtook the firm, and he ended up in prison again, after which he wrote another memoir My Selves, and lived for a few more grim and alcoholic years, coming to an unpleasant end in 1940. In just over a decade he lived through a variety of careers, each excessive, most spectacular and all were doomed to failure. It is not a distinguished career, but Matt Houlbrook (previously the author of the book Queer London, which I strongly recommend) has seen that this rather seedy swindler’s progress tells us a lot about the post-war era in which he struggled and occasionally flourished. In his absorbing new book, Prince of Tricksters, he uses each turn of Lucas’s crooked life to illuminate some of the contradictions and uncertainties of the twenties. In what Robert Graves and Alan Hodge would call ‘the age of disguise’, Lucas, educated for a while at least at a public school, could assume the trappings of an aristocrat and for a short while enjoy a hedonistic lifestyle of fashionable hotels and fast cars. Social certainties had been disrupted by the war, and he took advantage of this, using charm and persuasion to get what he wanted. Perhaps the greatest trick the gentleman trickster ever pulled was convincing the world that he existed [….] Hyperbolic accounts of his notoriety were secured through the clichés of crime writing and the complicity of commercial and professional interest that bound him to police officers, journalists and crime writers. To writers about crime, a figure like Lucas, who could be presented in terms of daring and glamour, was a gift. Eventually he saw that he could ‘turn his disreputable past into a saleable commodity’, and wrote The Autobiography of a Crook. In this he presents himself as an ex-criminal, a reformed character who could write about the world of crime while distancing himself from it. The book was a success, and he followed it up with others, including Criminal Paris and London and its Criminals, as well as many newspaper and magazine articles, and some fiction. Houlbrook is good on the uneasiness of Lucas’s position. His authority to write upon the subject comes from his own criminal past – and so diminishes the further he gets from his own experience (and is also rendered problematic by rumours that he hired ghost-writers to help compose his ‘authentic’ narratives). It also depended on his maintaining the character of reformed criminal; when he was accused of fabricating stories to create copy, his reputation, and therefore his employability, abruptly vanished. Luckily Lucas had another scheme in hand – one that once again depended on assuming the mask of the authentic. The British Monarchy was in the process of reinventing itself, no longer as aloof and distant, but as human and family-oriented. The public lapped up ‘personal’ accounts of the Royals, and Lucas (now Evelyn Graham) supplied them. There is an amusing chapter in Houlbrook’s book which shows palace bureaucrats increasingly impatient with the royal memoirs that the Evelyn Graham literary factory churned out, while not totally wanting to discourage books that were essentially friendly towards the monarchy and supplying a public need. 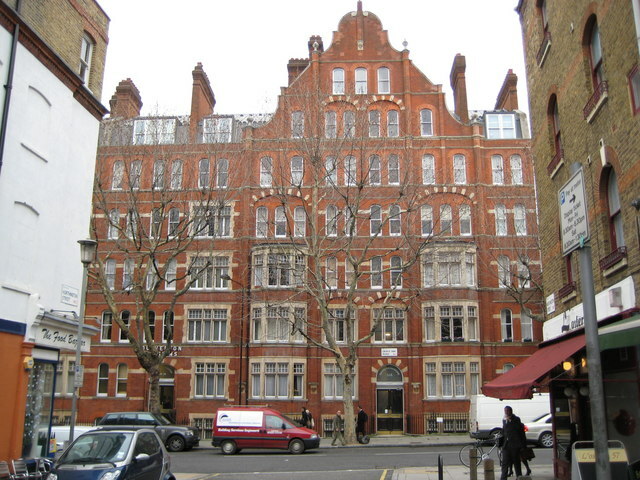 The old-boy network was used by the Palace to dissuade reputable publishing firms from handling Graham’s books, and this led Lucas to take yet another name – Albert E. Marriott – and set up his own publishing company, which handled the royal material, but a lot of other interesting books as well. All went very well until, at the end of 1930, the Daily Mail (which had printed Evelyn Graham material before) outed Marriott and Graham as being one and the same, while also being Netley Lucas, the well-known crook. Once again, his reputation was done for, he fled the country, and was sued by the Pinker agency, to whom he owed money. Finally he was convicted of fraud, was imprisoned again, and disappeared from public view until his death in a fire in 1940. Matt Houlbrook makes the most of the story to investigate obscure corners of the twenties world – especially its literary and journalistic underworld. I think he admires Lucas more than I do, but he has created a book well worth reading. I have written before about Evadne Price and her slippery attitude to the truth whenever she giving a version of her life story. She was a woman who time and again reinvented herself, preferring to forget her Australian origins, her first marriage and much else, as well as being more than usually flexible when assessing her age. Like Netley Lucas, but more successfully and for longer, she went from identity to identity – actress, journalist, war novelist, writer of comedy thrillers, playwright, romantic novelist, TV personality and astrologer. According to Price’s account (which we need not necessarily believe) a friend sent her to Marriott’s office, where he asked her to write All Quaint on the Western Front, a girly travesty of All Quiet… She read the Remarque’s novel and told him he shouldn’t publish a parody – he should publish a truthful account of women at war. He persuaded her that she could write it, she got hold of a V.A.D.’s wartime diary, and produced Not So Quiet... at high speed. This book is not a story, for one cannot make a story of an experience that is rotten to the core with wickedness. A Sunday paper paid a lot for the book as an authentic war document, and most reviewers assumed that the author was giving a fictionalised account of her own actual war experience. Lucas was undoubtedly doing the same sort of thing that he had done with his royal memoirs – passing off a fabrication as something authentic. What about Evadne Price? Did she think that she was writing a novel that would be clearly marketed as such, or was she party to the deception? Her later accounts of the business paint her as an innocent, taken in by Marriott, but she was at the very least an accessory after the fact, keeping a low profile, avoiding any requests for press interviews that might prove awkward, and rejoicing in high royalties while the book was marketed in London by a publicity force of girls driving ambulances. In his discussion of crime writing and royal biographies, Matt Houlbrook is good on the slippery nature of authenticity in writing. Unless written with authority, accounts of crime or royalty lose value. Not So Quiet… was published at a time when there was a fashion for books that promised ‘the truth about the war’, and was widely praised for its authenticity. It raises more than most war books the question of how far the literary value of war literature depends on what James Campbell calls ‘combat gnosticism’ – the idea that the truth about war can only be expressed by those who have experienced combat. Not So Quiet... has definite (though limited) literary merits. Are these affected by the fact that the publisher deliberately commissioned it as a fake? If Evadne Price did not know his intentions, would that make a difference? Does the value of the novel depend on how truthfully it echoes the diary on which it is based? Or is literary value quite independent of questions of truthfulness and authorial intention? One sentence in the book made me sit up and gasp. In 1929, Netley Lucas lived at Dulverton Mansions, a block of flats on the Grays Inn Road. But, as I noted on this blog a while ago, that was the block where Evadne Price lived throughout the 1920s. Now, it’s a large block – fifty flats – and they might never have met, since one does not necessarily know all one’s neighbours, especially in London. Yet the coincidence is striking. If they knew each other in 1929, before Price wrote her book at high speed in 1930, this certainly calls her account of its origins into question. I’ve started to wonder whether she had done any previous ghosting for him. This entry was written by George Simmers and posted on August 23, 2016 at 5:35 pm and filed under crime, History, novels with tags authenticity, biography, confidence tricksters, crime, Helen Zenna Smith, journalism, Netley Lucas. Evadne Price, Royal family. Bookmark the permalink. Follow any comments here with the RSS feed for this post. Post a comment or leave a trackback: Trackback URL. What an interesting line of inquiry you are following. The same block of flats is indeed intriguing. Looking forward to reading what else you dig up. Detective work is my favourite kind of research. The full truth about Evadne Price may forever remain mysterious, but I’ve got a couple of leads that I’ll be following up. Lucas sounds like someone in a D.J. Taylor novel–who keeps borrowing money from the hero. Steve – If I still lived near Oxford, I’d be buzzing straight to the Bodleian. But I’m in the North now, so this will take planning. Reading the biography, I thought that Lucas would fit very well into a Patrick Hamilton novel about the seamy underside of London.